Dri-FIT Pique II shirts combine the softness of pique cotton with the moisture-wicking performance of Dri-FIT technology. Tailored for a feminine fit with front seam details, the design includes a flat knit collar, three-button placket and open hem sleeves. 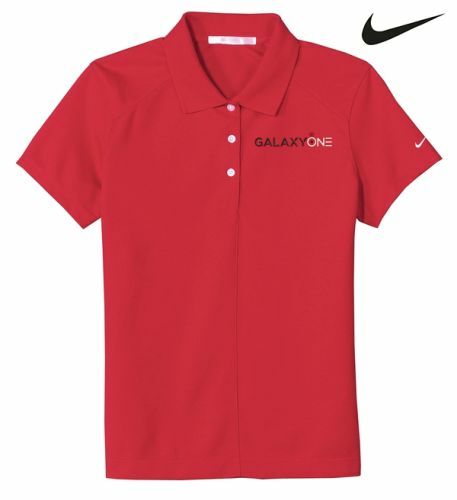 Pearlized buttons are selected to complement the shirt color.The contrast Swoosh design trademark is embroidered on the left sleeve. Made of 5.4-ounce, 56/44 cotton/polyester pique knit Dri-FIT fabric.